This topic contains 1 reply, has 2 voices, and was last updated by Michael Horne 6 years, 3 months ago. Yesterday we had the privilege of meeting Andrea Sottimano at a local wine shop here at the Jersey Shore. We tasted 4 of his wines. It was great talking to Andrea about Piemonte as we visited last May. We were sure to get his card and said we would visit his vineyard on our return trip during harvest season. Andrea Sottimano and his father Rino produce Nebbiolo-based wines of outstanding quality at their small estate on the border of Neive and Barbaresco. Now for the wines…. 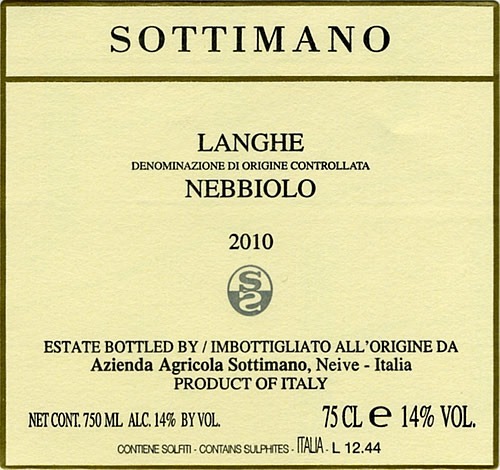 First wine we tasted was a Nebbiolo di Langhe 2010. I thought the wine was very well balanced but needed food. Andrea told us its a essentially de-classified Barbaresco from the younger vines of the Basarin cru. He said the vines were 15 years old, but his father refuses to make a Barbresco from them. 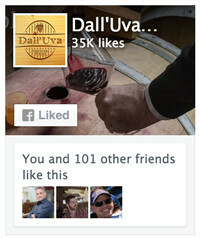 The wine exhibits the spicy, licorice and dark fruit characteristics as per the site. Fermentation takes place in French oak, followed by 10 months aging in French oak, and finally the wine is bottled unfined and unfiltered. The wine was being sold at the tasting for $18.99. We picked one up. 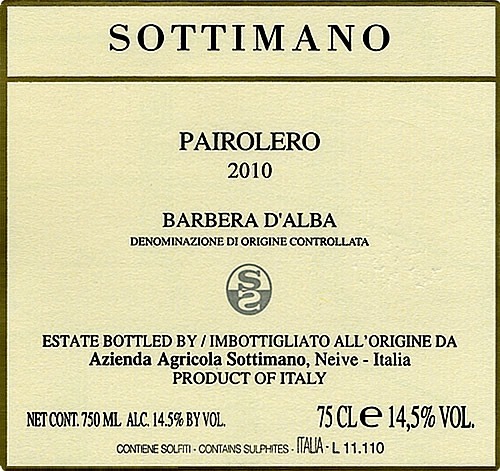 The second was a Barbera D’Alba Pairolero 2010. We loved this wine! I found it to be full bodied, bold and just a great nose on it. Andrea agreed as he pumped his fist saying big, bold!!! Sold for $19.99. We got 2 of this one. 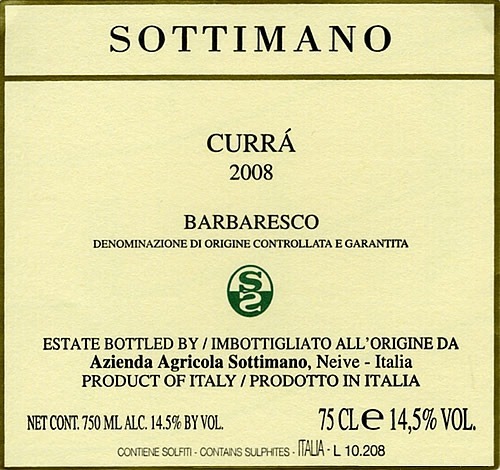 The third was Barbaresco Curra 2008. As Andrea told us this single cru came from 70 year old vines! It was deep, rich and round with wonderful minerality and a floral core that we just loved. The Currà vineyard is located in the town of Neive, which is very close to the area of Barbaresco; this results in a wine rich in tannins, like all the wines from Barbaresco, but with the fruity, charming elegance of Neive. Serve with cured meats, roasted meats, risotto dishes with mushrooms or truffles, or with fine cheeses. 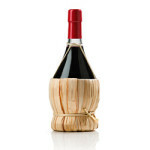 I couldn’t agree more with his description, it was a beautiful expression of a Barbaresco. Andrea said if you buy it put it away for a few years as its only going to get better. Thats exactly what we did, this one went straight to the cellar. Sold for $54.99. 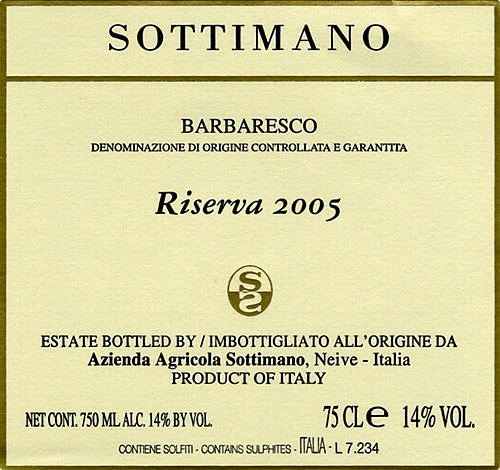 The last wine was a Barbaresco 2008 Riserva. It comes from 6 different crus of 50-70 year old vines. It was a beautiful wine, maybe a little more balanced than the single cry Curra. It was a little crowded at this time and we didn’t get too much detail from Andrea. But I do know I loved it. The shop was taking orders on this one to see how much they would need to get. They offered it at $80.00 a bottle, we put our name in for one and like the Curra this one goes straight to the cellar. 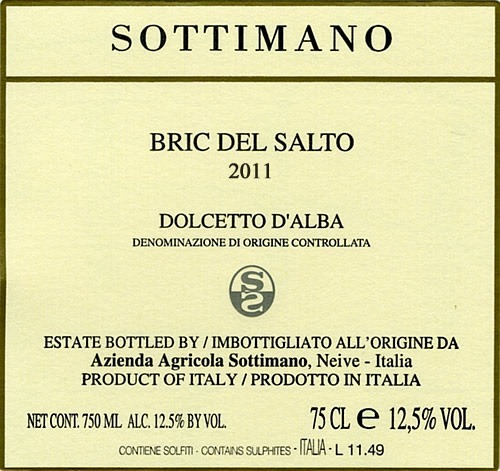 We also picked up a Sottimano Dolcetto d’Alba Bric del Salto 2011. But this was not offered at the tasting. I have never been a fan of Dolcetto as I think they are too light and weak in flavor, but we had this exact wine a our favorite Italian restaurant, the sommelier said try it. Well there is a first time for everything, I liked it! It was full and fruit forward. The wine definitely opened my eyes on Dolcetto. We picked up a bottle for $14.99. I just want to add that the wine shop does these free tastings every Saturday 3-5pm. We sample small pours in plastic cups. So its a little hard to maybe get a full appreciation of the wine. But like I said its free and they get some great producers and importers. 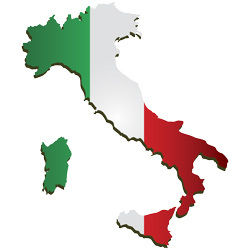 We never miss an Italian tasting. We had the honor of meeting Vittorio Fiore a few years back, but thats another story! 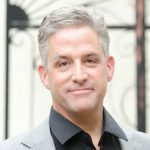 Hi Michael – very nice review of the wines, thanks for posting. I haven’t explored Sottimano before, and I’ll have to give them a try. The Currá sounds fascinating, I’ll have to hunt down a bottle. To help fellow wine lovers find the wines you’ve listed, I’ve done a little research and will summarize what I’ve found below. Location: Via Cottà, 21, Neive (CN) 12052. Find them on Google maps here. I can’t say enough good things about the Sottimano family and the work they have done over the years to firmly establish themselves among Barbaresco’s top growers. 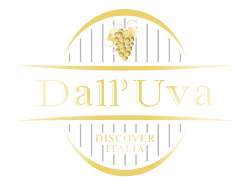 This is one of the few places in Piedmont where every wine is consistently delicious. The only question is how delicious. In recent years, Andrea Sottimano has worked to give his Barbareschi extended time on the lees in a cold cellar, which also slows down the malos. This distinctly Burgundian approach stands in stark contrast to the way most French oak-aged wines are made in Piedmont, where malos typically follow right after the alcoholic fermentations. I tasted the 2010s just after they were bottled. Readers should take these notes as brief impressions on wines that will continue to come to life with further time in bottle.